Continue reading Get our Qualified Business Loan Leads and Target Prospects Effectively. Posted on October 30, 2017 October 30, 2017 Categories MCA LeadsLeave a comment on Get our Qualified Business Loan Leads and Target Prospects Effectively. In the Internet world, where everything is just a few clicks away, people are highly attracted towards online services be it for shopping, finding a local vendor, or searching information. Digital media advertising is taking over the traditional method of marketing including TV ads, billboards, newspapers, etc. The merchant cash advance is not far behind. As an MCA provider, if you are looking for ways to market merchant cash advances in a digital world, getting qualified digital response leads is the ideal solution. Due to strict eligibility criteria and the complexities associated with traditional bank financing, a merchant cash advance has turned out as the better solution. A merchant cash advance is a popular alternative to getting a small business loan. It provides access to needed capital for small business owners that wouldn’t otherwise be able to invest in expanding or finding a bridge to carry them through a rough patch. When a business owner gets a Merchant Cash Advance, they’re getting an advance against future credit card sales. The MCA is paid back by a fixed portion of credit card sales revenue that goes to the lender. Seeing the benefits, this alternative financing is increasingly gaining popularity. As an MCA provider you understand the importance of building clients in this industry. Finding new prospects is a bit challenging. Fortunately, merchant cash advance live transfer leads exist to help you reach target prospects efficiently. As a MCA provider, when you consider merchant cash advance marketing, your targeted market includes retail, service companies, and restaurants, etc. that have substantial credit card or debit card sales daily. Usually, these businesses do not qualify for bank loans because they either have bad credit or little to no security. Studies have found that there is a plenty of room for growth in the merchant cash advance industry with only 10% of a market potentially worth $5 billion to $10 billion has been considered so far by advance providers. There is a great room to penetrate it further. Our qualified live transfer leads are the perfect answer to all your merchant cash advance marketing needs. Easy loan application process– Traditional bank or small business loans take a long time to process and require large amount of paperwork and many meetings whereas an MCA requires much less documentation and time. Typically, you get cash in less than a week. Higher approval rates– To qualify for a bank loan, a business needs to show a track record of debit or credit receivables. If a business has a bad credit rating or no credit, they cannot qualify for a traditional loan. By contrast, a merchant cash advance doesn’t have any such restriction. It doesn’t take into account the credit rating of a business to qualify. No collateral– Unlike traditional bank financing that need collateral and risk assets, a merchant cash advance doesn’t need any kind of collateral. A business doesn’t need to put their assets such as home or property for a merchant cash advance. No restriction on cash usage– This is one of the important benefits that needs explaining when marketing merchant cash advances. The funds you get from a merchant cash advance are yours too use freely. You can buy new equipment, pay wages to employees, purchase inventory, and more. An MCA doesn’t pose any kind of restriction on the use of capital. When marketing your merchant cash advance business when you approach MCA live transfer leads, explaining how a merchant cash advance is the best alternative financing available these days for cash-strapped businesses will help you sell business loans more efficiently. Summary– Got live transfer leads? Planning merchant cash marketing? 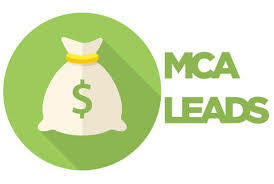 Educating your MCA live transfer leads on how merchant cash is best for businesses with bad credit help you induce your target customers to buy loans from you! Our Merchant Cash Advance Live Transfer Leads can Help Your MCA Business Flourish. Learn How! Whether you are operating a merchant cash advance business or fashion store, your success depends directly on continuous growth and the use of effective leads. To grow a business, you need working capital to invest in essential areas on a continual basis including launching a new product, paying wages, strategizing a marketing campaign and more. As an MCA provider, you will need to make regular investments in advertising for your business. People working in the merchant cash industry understand the importance of finding and building clients. Unlike other industries such as clothing, food and drink, etc. where you know your target customers, in the MCA industry, finding prospects is not an easy task. Continue reading Our Merchant Cash Advance Live Transfer Leads can Help Your MCA Business Flourish. Learn How! Posted on October 9, 2017 Categories MCA LeadsLeave a comment on Our Merchant Cash Advance Live Transfer Leads can Help Your MCA Business Flourish. Learn How!